Synopsis from Goodreads: It's 1959. The battle for civil rights is raging. And it's Sarah Dunbar's first day of school, as one of the first black students at the previously all-white Jefferson High. No one wants Sarah there. Not the Governor. Not the teachers. And certainly not the students – especially Linda Hairston, daughter of the town’s most ardent segregationist. Sarah and Linda have every reason to despise each other. But as a school project forces them to spend time together, the less their differences seem to matter. And Sarah and Linda start to feel something they've never felt before. Something they're both determined ignore. Because it's one thing to be frightened by the world around you - and another thing altogether when you're terrified of what you feel inside. Before even starting this book I knew it would be wonderful, it came highly recommended and every single time I mentioned it someone would say "Ah it's amazing!!" which is always a good sign. Also, I know you aren't meant judge a book by it's cover or whatever but when said cover has the quote "Even though she's a girl, even though she's coloured, I want to keep kissing Sarah forever." on it I reckon you're allowed to, right? I certainly did anyway, and I judged correctly because it was everything that I have ever needed from a book ever. It follows the story of two girls in high school in America during the late 1950s, Sarah is one of the first black students to integrate into a previously all-white school whilst Linda is the daughter of a powerful man who is fighting to maintain segregation. Neither of them want to have anything to do with each other and they would both much rather things went back to the way they were before, despite the conditions of Sarah's previous school being much worse, the aggression that she and her friends must face everyday makes her wish she could go back, but she knows how important their perseverance is for all of their community. Somehow Linda and Sarah end up working on a school project together, spending more time with each other than they would like, they spend their afternoons arguing about pretty much everything but gradually they both begin to change. Linda in particular starts to see that things aren't quite a clear-cut as her father has been telling her for her whole life and it's interesting to read her side of things - she has so many ideas about the way life "should" be and the way she makes excuses for how Sarah is "different to all the other black people" simply because she is intelligent is just, well, shocking really. Everything that Linda has been brought up and brainwashed into thinking about people of colour is truly irrational and ridiculous and it made me so so angry! Particularly so because whilst reading this you know that this isn't just a story, this happened and is continuing to happen to a certain extent to this day. The way in which Lies We Tell Ourselves deals with the harsh reality of the racial issues whilst combining this with the story of two girls developing feelings for each other and realising they're not "normal" by their societies' terms is truly brilliant. 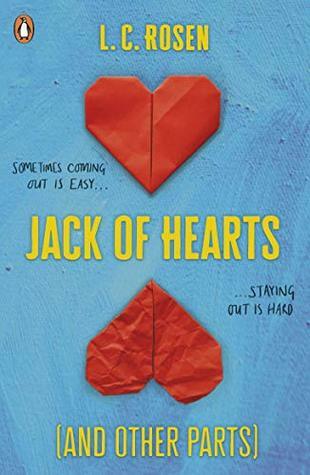 Without spoiling completely, I just want to also express how much I loved that this wasn't all about coming out and being welcomed by your family or anything, it's somehow more subtle than that and it dealt with sexuality in a different way to most of the books that I've read before which I found quite refreshing. 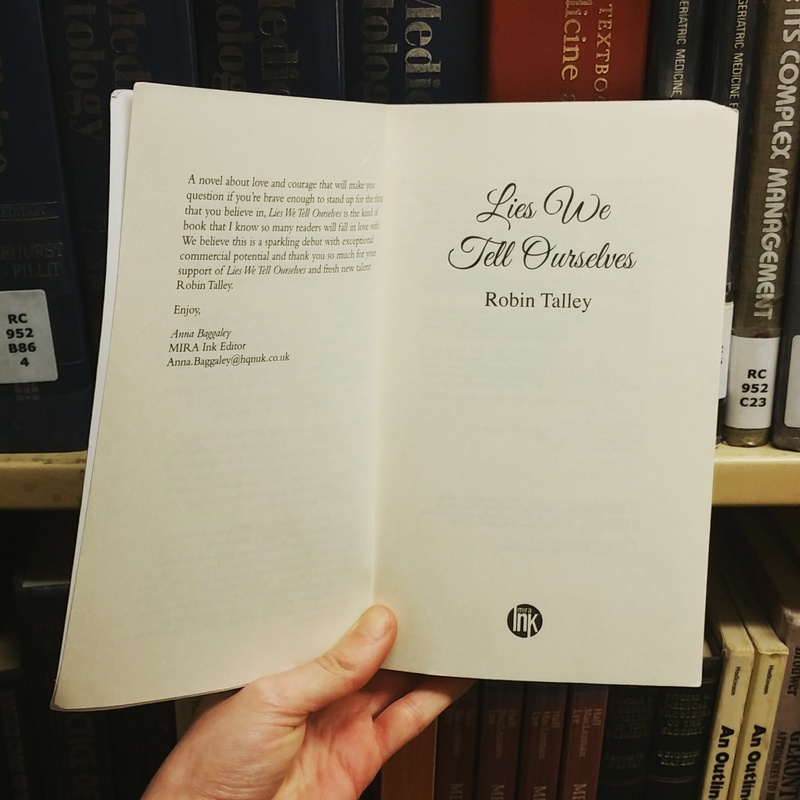 Lies We Tell Ourselves was a wonderfully honest and diverse novel that I truly loved.